The majority of buyers added fewer than 10 new suppliers to their supply chains last year, which means you need to ensure you're reaching them when they're searching. Aside from having an up-to-date website with detailed product and company information, having examples of your products and services in action — as well as testimonials from happy customers — can make you stand out among your competitors. Not sure where to start? Here's how. 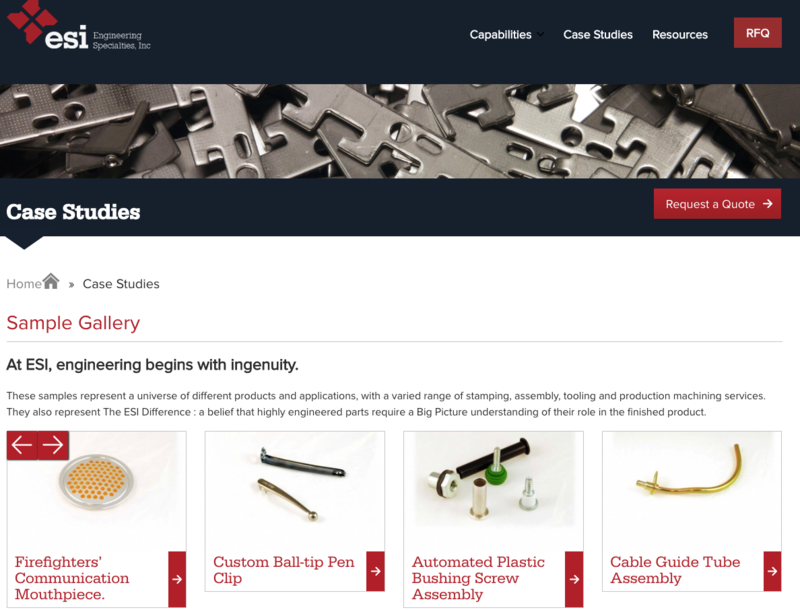 Engineering Specialties, Inc., a provider of custom metal stamping, assembly, fasteners and machining for tight tolerances, is the perfect example of what you can do. Additionally, you could put quotes on your website featuring the names and logos of your customers, feature pictures and videos showcasing your products and services, write a narrative to tell the story of solving the problem — or a mix of everything. Testimonials and case studies are essentially forms of social currency. Humans tend to flock together, and if big names from a certain industry speak well of particular vendors or providers, prospective customers will likely find them more credible because of the already-established track record of success. Since the validation comes from an impartial third party — not the supplier with a vested interest in their company’s success — stakeholders reach a consensus quicker, and deals close faster. Case studies, in particular, trigger the Zeignarik effect. If prospects are currently facing the same or similar problems as the ones discussed in case studies, the content will likely resonate with these users, who are essentially hard-wired to read the case study until a solution is revealed. In time, you may even find that your case studies boast a higher “time on page” than your standard blog posts. 1. Case studies should be customer-focused. You can talk about your skills and services at some point, but that generally comes later on. Keep it focused on the client, their line of work, their specific challenges, and how your product or service helped them. It also helps to create a case study template to standardize important questions you’ll want to ask the customers you’re interviewing for case studies. This helps ensure you elicit the most insightful, useful responses. 3. Case studies need personality. This is especially true for industrial and manufacturing case studies with jargon-heavy language or highly technical subject matter. Don’t put readers to sleep. Add customer quotes in appropriate places. 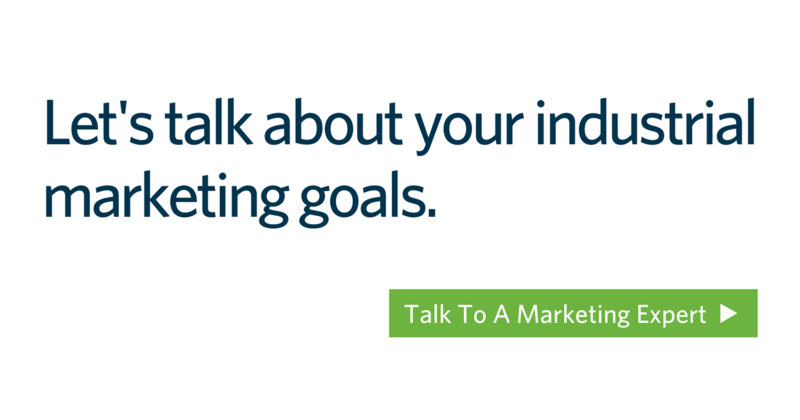 Remember, the goal is to help prospective customers relate to your existing customers and view you as an ideal partner. Break up the content into easily readable sections. Maybe you’ve never published testimonials or are unsure how to build a library of case studies. The best advice we can give you is: Start simple. To create new case studies, always start with your biggest clients. They have reaped the most rewards from your company and will be the most likely to take the time to answer probing questions. Always refer to the keys of case study success and prepare a template customers can fill out quickly and easily. Make your case studies easy to find. Link out to them from your home navigation menu. Reference your library in your email signoffs. Share case studies on social media, always with a short snippet about how prospective clients can benefit by reading them. Go the video way! People who read a text-based testimonial are likely to remember 10% of it after three days. A video testimonial or case study pushes that number up to 65%! Video is simply more memorable. You don’t need a whole lot of video reviews or case studies to benefit from them. Aim for one, and then build up from there. Case studies and testimonials are doubly engaging for today’s consumers; not only do they prove your competence and reliability, they promise a solution that’s been vetted by other customers. They shine a light on possibilities and allow customers to envision a more efficient, successful future for their business. To learn more about the benefits of customer-created content, or for help in getting started with client testimonials and case studies, reach out.